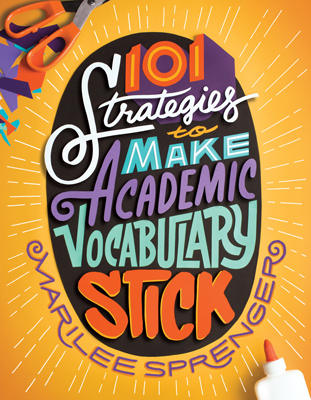 What is academic vocabulary and why is it important? Studies have shown that the size of a child’s vocabulary is an accurate predictor of academic achievement. (Hirsch, 2013) But, academic vocabulary is more specific. It is the words used in an academic setting. This includes textbooks, class discussions, and standardized tests. These words are not learned through casual conversations in our daily lives. 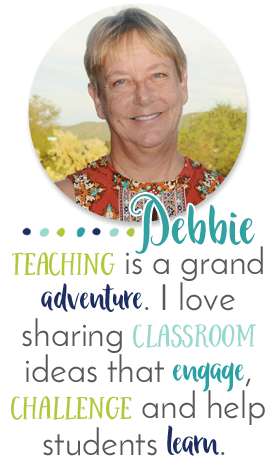 Students need direct instruction and focused lessons to master the words they encounter in an academic setting. How many times did you wonder if your students truly understood what the question on a standardized was asking? They may know the information, but the vocabulary in the question may have confused them. And we all know, if you don't understand what a question is asking, then how can you answer it. This is why it’s so important to teach these essential words and make them part of your students’ everyday classroom vocabulary. What are the most essential academic vocabulary words? Experts have said there are about 300 academic words that should be taught through direct instruction. Of course, you don’t teach them all at once. But over the course of a child’s school career, through different content areas, these words should be taught. 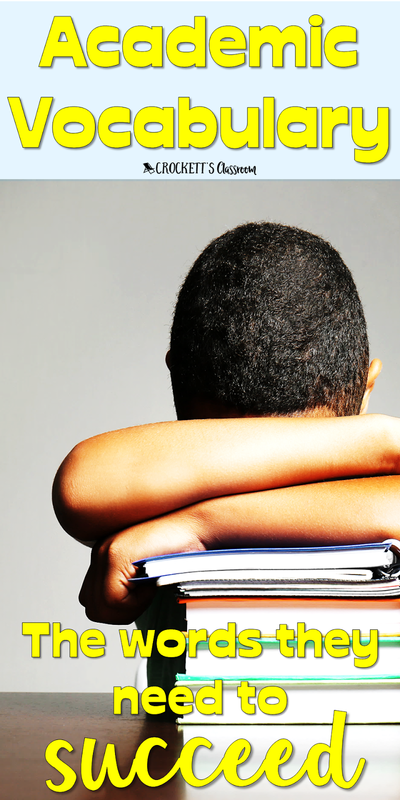 Many schools have developed lists for each grade level and/or subject area. 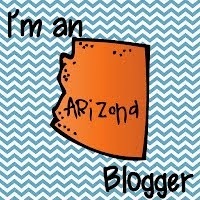 Check to see if your school has such a list. Most kids get stuck on the verbs in test questions more often than the content nouns. So, this is a good place to start your academic vocabulary lessons. 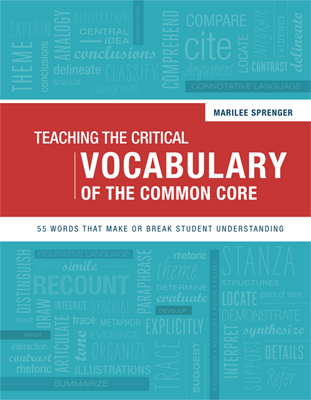 The resource I used the most to kick-start my vocabulary instruction is by Marilee Sprenger. 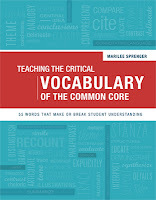 Her wonderful book, Teaching the Critical Vocabulary of the Common Core (2013), gives definitions, examples and suggested activities for 55 (verbs and nouns) of the most commonly used words in the Common Core Standards. I liked the first book so much that I bought her second book, 101 strategies to Make Academic Vocabulary Stick. No matter what you opinion is on standardized or objectives based tests, it looks like they're here to stay for awhile. So, we need to make sure our students have the vocabulary skills to perform their best on these tests. One of my goals is to incorporate these verbs into my daily lessons. I wanted my kids to hear, see and use these words as frequently as possible. That way, when they encountered them on the "big test" at the end of the year these verbs wouldn't cause any confusion. I wanted my students to be able to answer the content of the question without getting hung up on what the question was asking. I decided to introduce each word with a short PowerPoint presentation. In the presentation the word is defined, a sample question is answered, the word is applied to an everyday situation for a partner talk and a short activity or printable can be used in a class lesson. 2. On day two we review a couple of the verbs from previous lessons and then do the third slide for the new word (partner talk). 3. The next day would begin with a review and then the fourth slide for the new word (activity or printable incorporated into a content lesson). 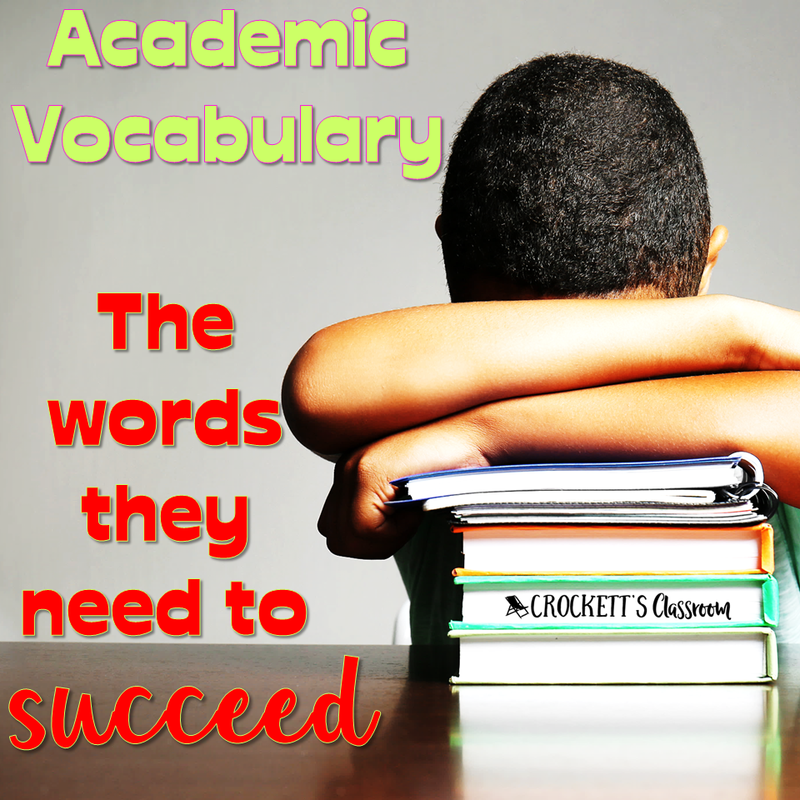 Click here to see the full description and preview for my Academic Vocabulary product. 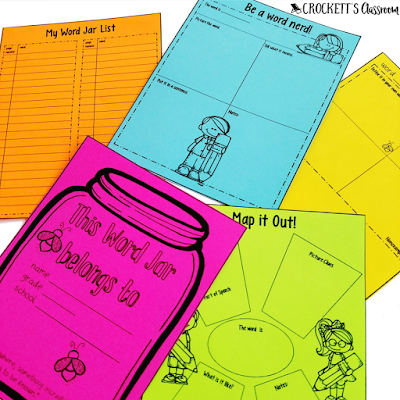 Another great way to help your students master these words is to start a special journal, just for words. 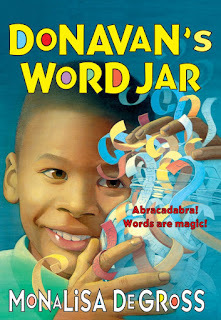 At the beginning of the year, I love reading Donavan's Word Jar. 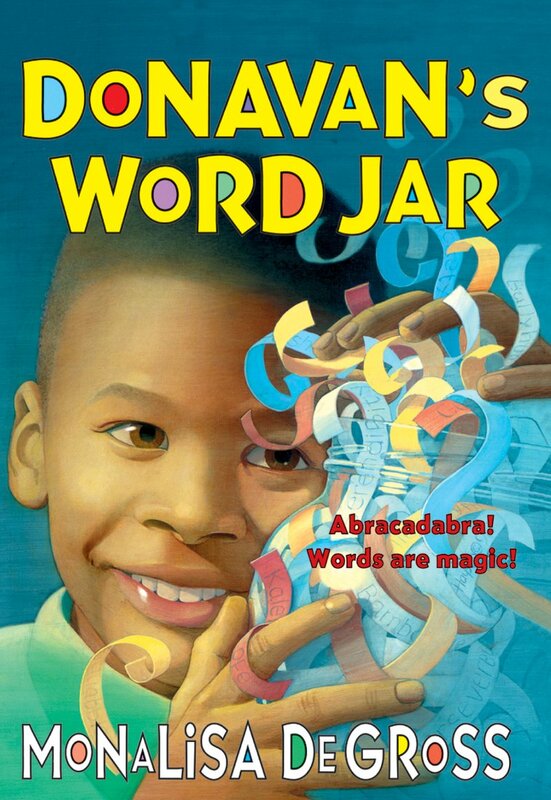 It's a great book about a young boy who starts collecting words and it inspires my kids to become word collectors themselves.